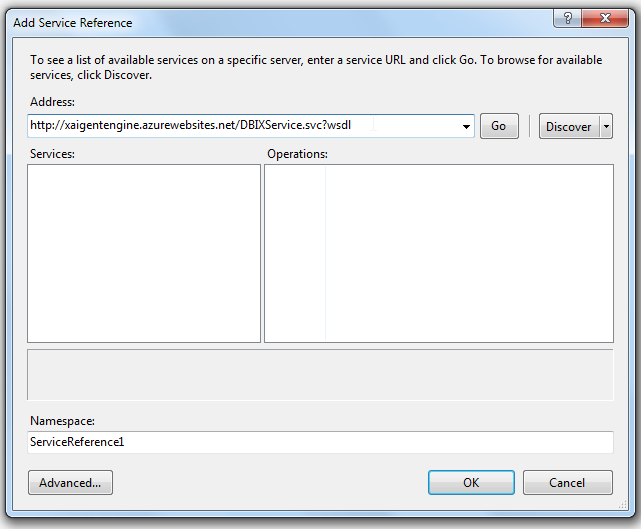 The dbi technologies inc. xAIgent is a restful service implementation of the Extractor key phrase extraction technology (www.extractor.com) designed to work with any IDE (Integrated Development Environment) that supports restful services. 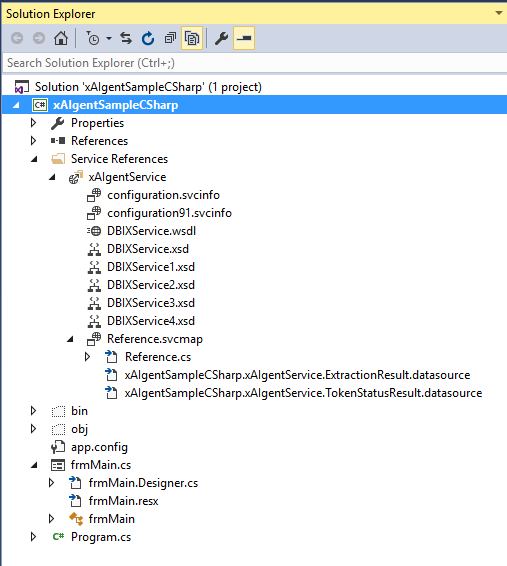 The following discussion illustrates how to incorporate the xAIgent service in to a Visual Studio project. PLEASE NOTE: The sample code presented here is taken from the sample projects available for download at the bottom of this page. 1. Add the service to the project. 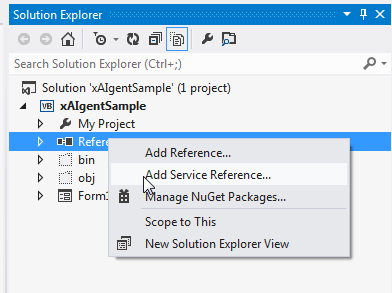 In the Solution Explorer, right mouse click on the References node. In the Address: enter the address of the xAIgent wsdl (Web Services Description Language) file. and press the OK button. 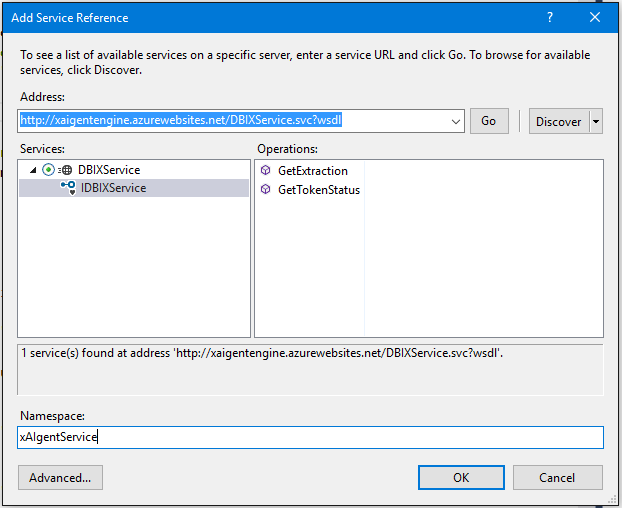 Visual Studio will now add the service reference and generate the necessary handlers. GetTokenStatus - Requires a TokenStatusRequest object and Returns a TokenStatusResult object. For more information on the GetTokenStatus method please review the sample application download below. myxAIgentResponse = myxAIgentService.GetExtraction(myxAIgentRequest); //Run the xAIgent Service to extract the text and return the key phrases. //Process each key phrase object in the response. //Output the keyphrase object to the results text box. myxAIgentResponse = myxAIgentService.GetExtraction(myxAIgentRequest) 'Run the xAIgent Service to extract the text and return the key phrases. 'Process each key phrase object in the response. 'Output the keyphrase object to the results text box. Me.TextBoxResults.Text = "No Results were returned."